Dylan Ruga is a trial lawyer focused on intellectual property, professional liability, and commercial litigation. Professional but tenacious, Dylan has earned a reputation among his clients and colleagues as a dedicated advocate who obtains results by outworking and outmaneuvering his opponents. Dylan was raised in San Francisco and attended college in Ohio, where he played both varsity football and baseball. He came back to California for law school and graduated in the top 10% of his class at UCLA. He began his legal career working in the chambers of a Southern California federal judge, where he learned how to be an effective advocate from the other side of the bench. 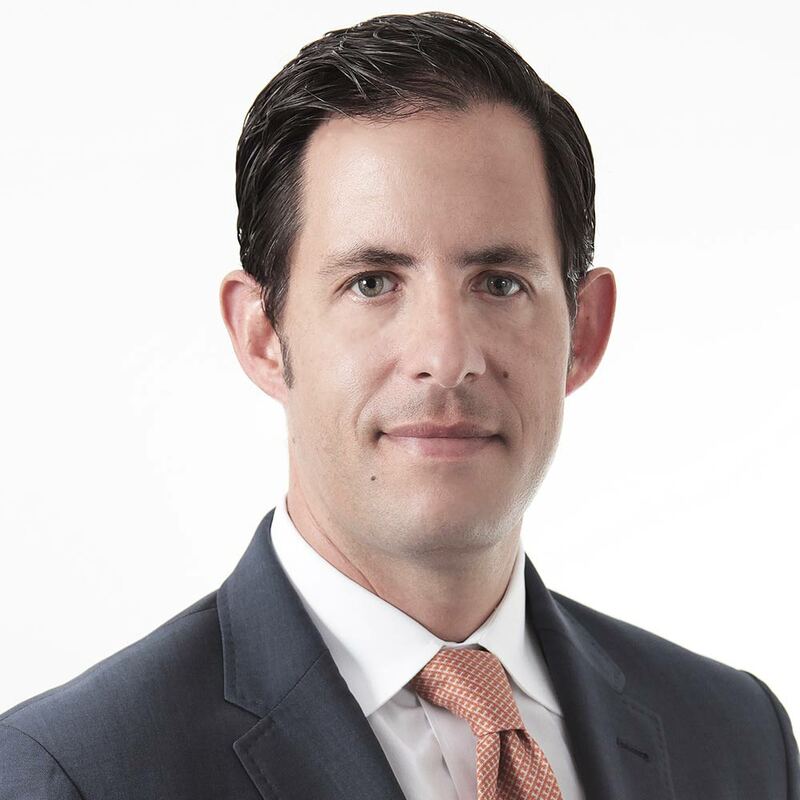 From there, Dylan went into private practice as a litigation associate at Alschuler Grossman Stein & Kahan LLP, and then at Steptoe & Johnson LLP. Dylan became an equity partner at Steptoe in 2013 and remained there until 2016 when he opened Stalwart Law Group. Dylan is a member of the Los Angeles Copyright Society, the Association of Business Trial Lawyers, and the American Bar Association. He has been recognized as a Southern California “Rising Star” by Super Lawyers magazine every year from 2009-2016, which is an achievement limited to no more than 2.5% of the lawyers in California. Named as one of the 30 most influential intellectual property attorneys in LA by the Los Angeles Business Journal, Dylan litigates copyright, trademark, and patent infringement claims in courts around the country for matters involving a variety of industries. He has represented both copyright owners and alleged infringers in all aspects of litigation, from pre-lawsuit strategy development to ultimate resolution of the case. He co-led a team that represented the plaintiff in a copyright infringement lawsuit brought against a publicly traded company. The case, which involved claims of domestic and international infringement by the defendant, its subsidiaries and retailers, settled on the eve of trial. Dylan’s work in the area of trademark litigation is varied, including litigating trademark infringement claims on behalf of large corporations, as well as representing a non-profit dance group in a dispute with another dance company using a confusingly similar name. He also assists clients in licensing their marks in the apparel and entertainment-related fields, as well as prosecuting their marks in the United States Patent and Trademark Office. Dylan has spearheaded anti-counterfeiting programs for several well-known apparel companies. Dylan also has experience with complex patent infringement litigation. He was part of a team that represented Samsung Electronics in the global smart phone patent litigation against Apple, and he participated in a trial on behalf of Mitsubishi Heavy Industries involving patents related to wind turbine technology. Dylan is certified by The State Bar of California Board of Legal Specialization as a specialist in the area of legal malpractice law, which is a distinction held by less than one-tenth of one percent of the lawyers in Los Angeles County. Dylan’s experience with legal malpractice matters runs the gamut, from conflicts of interest to claims involving civil RICO, in industries as varied as real estate and tax. Through this work, Dylan has developed a deep understanding of the substantive legal malpractice law and the strategies employed in professional liability litigation. Dylan represents clients in all aspects of general commercial litigation, including partnership disputes, real estate disputes, collection issues, and complex multi-district litigation (MDL) proceedings. He has personally been called upon to defend large corporations, such as Toyota and Anschutz Entertainment Group, but also regularly represents smaller businesses and individuals who turn to Dylan to help them resolve their various commercial disputes. Reserve Media, Inc. v. Efficient Frontiers, Inc., , 2017 WL 1377591 (C.D. Cal. 2017). Successfully defended tech startup’s right to use the RESERVE trademark. Prime Aid Pharm. Corp. v. Robert Romano, et al., N.Y. Supreme Court Index No. 24133/2016E (2016). Successfully defeated plaintiff’s request for a temporary restraining order (TRO) and defended company’s right to employ a competitor’s salesperson. Victor Santiago v. Hope Int’l Univ., et al., Orange County Superior Court Case No. 30-2014-00743176-CU-WT-CJC (2014). Successfully represented former college volleyball coach who was terminated because of his sexual orientation. Reinsdorf v. Skechers U.S.A., Inc., 296 F.R.D. 604 (C.D. Cal. 2013). Represented photographer in connection with copyright infringement claims against Skechers arising from the company’s use of the photographer’s images in its advertisements. Solid 21, Inc. v. Breitling USA, Inc., 2011 WL 2938209 (C.D. Cal. 2011). Defended Breitling against claims of trademark infringement related to plaintiff’s registered “RED GOLD” mark. The district court granted Breitling’s motion to dismiss the claims with prejudice, holding that plaintiff’s mark was generic and thus unprotectable as a matter of law, despite the fact that it had achieved “incontestable” status. Antounian v. Louis Vuitton Malletier, et al., 189 Cal. App. 4th 438 (2010). Successfully brought anti-SLAPP motion on behalf of Steptoe clients Louis Vuitton and Christian Dior. After this decision was affirmed on appeal, Louis Vuitton and Christian Dior were awarded their attorneys’ fees in connection with the defense of the case. Aversano v. Greenberg Traurig, LLP, 753 F. Supp. 2d 1063 (C.D. Cal. 2010). Defended Greenberg Traurig against several claims, including civil RICO. The district court dismissed the RICO claim with prejudice, concluding the claim was barred by the Private Securities Litigation Reform Act (PSLRA). OGM, Inc. v. Televisa, S.A. de C.V., 2009 WL 1025971 (C.D. Cal. 2009). Created new law regarding service of process on Mexican residents under the Hague Convention by successfully convincing the court that the US State Department’s website was inaccurate and that all other cases on the subject were mistaken. Larin Corp. v. Alltrade Inc., et al., 2008 WL 2745881 (C.D. Cal. 2008). Defended Alltrade Inc. against claims of trade dress and false advertising. The district court granted summary judgment in favor of Alltrade. Textile Secrets Int’l, Inc. v. Ya-Ya Brand, Inc., 524 F. Supp. 2d 1184 (C.D. Cal. 2007). Defended Ya-Ya Brand, Inc. in a copyright infringement case. The district court granted Ya-Ya’s motion for summary judgment regarding the interpretation of a section of the Digital Millennium Copyright Act (DMCA) that was an issue of first impression in the Ninth Circuit.